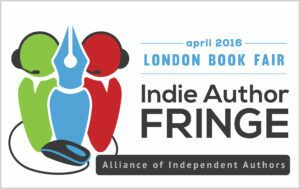 Writers LOVE Book Fairs – the mixing with publishers, networking with like minds, the chance to talk to marketing experts. But Watchdog David Gaughran is not impressed with some book fair practices, especially offers to display self-published books at inflated prices. Read this before you buy your badge. I see a lot of writers throwing money at things which won’t help them, leaving them little left for the few things they should be spending on (e.g. professional covers, thorough edits, targeted advertising). I’ll focus here on the three main culprits when it comes to book fairs – New Title Showcases, Paid Book Signings, and “Full Service” Publishers. The marketing verbiage continues along those lines, and CBE has a variety of packages at events all around the world costing from $195 to $895 – major events like BookExpo America and the Frankfurt Book fair, as well as smaller regional shows – but it all amounts to pretty much the same thing: your book on a shelf, which no one will see or care about – let alone pick up and browse. No agent will peruse this fusty display looking for clients. No publisher will thumb through the tired collection of novels looking for the next big thing. Your book will gather dust, and then be packed away into a box. I’ve seen these shelves, I know authors who decided to try it out, and I can be pretty clear: don’t waste your money. I wouldn’t even bother doing it if it was free, and it certainly isn’t free. Aside from the overblown promises, I’m generally wary of the Combined Book Exhibit as a company. It does considerable business with a number of vanity presses which re-sell these exact same products for a considerable mark-up (sometimes three or four times the original price) – making them even more of a rip-off. When I raised author concerns with the CBE about this practice, they didn’t consider such concerns worthy of reply. I’ll go out on a real limb here and suggest that’s more revealing of their true feelings towards writers than the warm and fuzzy marketing spiel. It’s part of the dream: a fat advance, critical acclaim, lunchtime gimlets with your editor, and a queue of readers waiting to meet you and get their books signed. It’s a symbol of having made it and, as such, it’s a powerful way for the unscrupulous to make a serious dent in your bank balance. Writers can pay around $4,000 for this service at various industry events (or twice that if they want a video recording). For the avoidance of doubt, this hefty price tag doesn’t include anything like accommodation or transport. All the authors get is a one-hour slot to sign books, and a few free copies to give out. And it’s a complete waste of money. Nevertheless, disreputable companies like Author Solutions make millions of dollars from this practice. If you go to events such as the Los Angeles Times Festival of Books, Miami Book Fair International, the Bay Area Book Festival, Word on the Street Toronto, or the Tucson Festival of Books, you will see these long rows of Author Solutions stands, with author after author waiting there to sign books – people who have paid several thousand dollars each for the privilege (when they could have rented their own stall for the whole weekend for a fraction of that price). Some of these events are quite prestigious, all claim to respect authors, but none of them will abandon this unsavory practice. Presumably because it’s too lucrative. Remember: you can’t necessarily trust a service just because it is participating at a well-known event. Most writers just want to write. They don’t want to draw up marketing plans, figure out what the hell metadata is, or waste time hunting down editors and cover designers. The writing dream didn’t include all this hustle, did it? Book fairs are invariably attended by a whole host of companies which promise to make your life easier. They call themselves “subsidy publishers” or “hybrid publishers” or “full service publishers” or sometimes “self-publishing services.” Others often refer to them as vanity presses – particularly when talking about the unscrupulous. In broad terms, they are third-party companies which act as a one-stop-shop publishing platform, where authors purchase a package which includes everything: editing, cover, layout, distribution, and can also opt a variety of add-on services covering marketing and promotion. The appeal of these guys is obvious. You hand them your Word doc, and while you get cracking on the next bestseller, they turn your flabby manuscript into a shiny new book, on sale everywhere. And then they sell marketing services too. Sounds great! There is a reason why all the big, successful self-publishers don’t use these companies and go direct to retailers instead. Even if we just talk about the more reputable end of the “full service publisher” spectrum, you are still going to be publishing your book in a sub-optimal way. You won’t have access to live sales figures (crucial for marketing), you will struggle to get your books in the right categories on Amazon (crucial for reader discovery), and then even if you can somehow manage to get sales going under those conditions, you will be paid less per sale, and paid slower too. And that’s the good guys. The bad guys are much more common and you will likely end up with a terrible cover which is inappropriate for your genre, a shoddy proofread rather than a proper edit, a book riddled with mistakes, and royalty reports which don’t seem to reflect your sales. Your wallet will be several thousand dollars lighter too. These companies, especially the really awful ones like Author Solutions, love attending industry events and will frequently sponsor them too. This doesn’t mean they are reputable or recommended. So who can you trust? In the last few years, we have seen a trend of large publishers setting up publishing services directed at authors – e.g. Simon & Schuster/Archway, HarperCollins/Westbow, Penguin/Partridge, Hay House/Balboa. Just because the service is being offered by a famous publisher, that doesn’t make it legit. These services are some of the worst out there and, in fact, are all operated on the publishers’ behalf by the same predatory company – Author Solutions (them again). The above publishers might have famous names and big reputations, but they have been getting their hands dirty over the last few years, and it’s getting worse too. Use your time wisely at industry events. 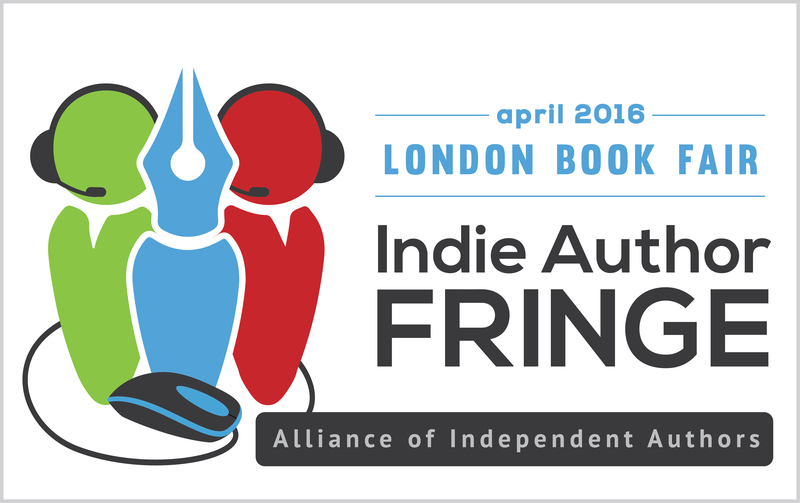 Talk to experienced self-publishers about which companies and services they recommend. It’s usually a pretty short list. Join David on The Hot Seat now, where he’ll be answering your questions for another 30 minutes.